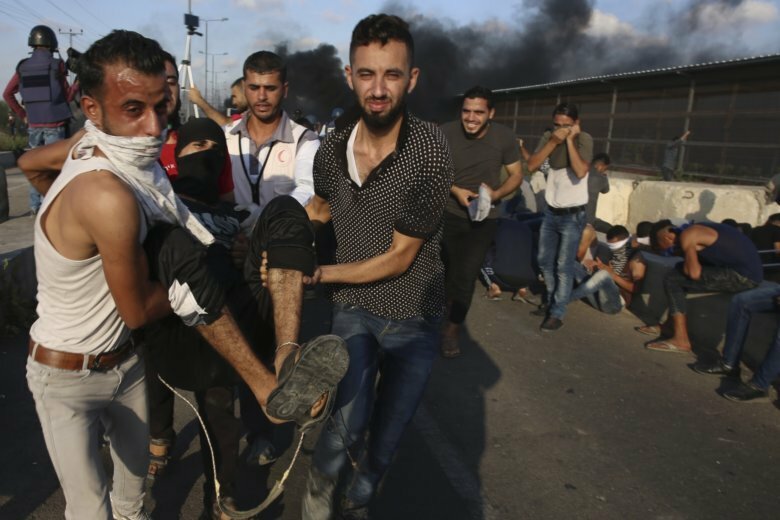 GAZA CITY, Gaza Strip (AP) — Gaza’s Health Ministry says two Palestinians have been killed by Israeli fire at a protest near a crossing point between the enclave and Israel. Thousands of Palestinians rallied Tuesday outside Erez crossing to protest the blockade imposed by Israel and Egypt after the militant Islamic group Hamas took over the territory in 2007. Palestinians burned tires and hurled rocks at Israeli forces stationed nearby who responded with tear gas and live fire. Hamas has led weekly border protests since March. Since then, 133 protesters have been killed by Israeli fire and one Israeli soldier was killed by a Gaza sniper. Egyptian mediated cease-fire talks have hit a deadlock. Hamas is now intensifying its campaign with more protests.